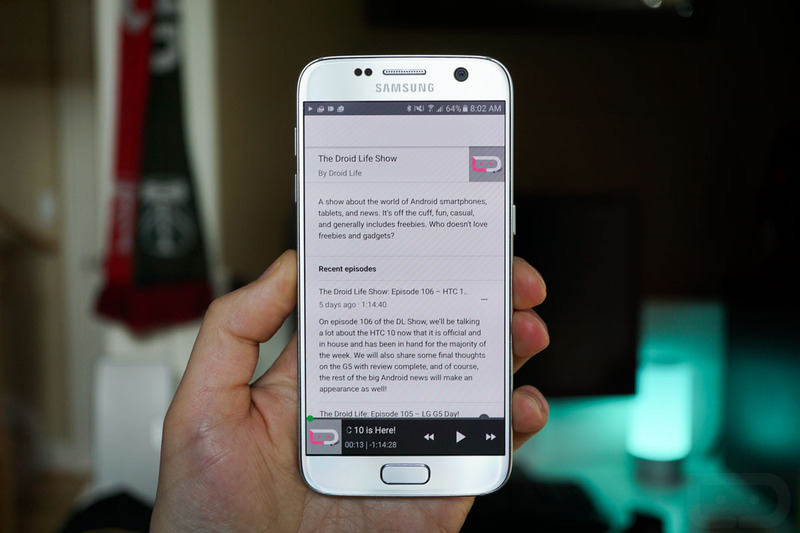 With podcasts launching in Google Play Music earlier this week, Google is already making it easier than ever to find and play them. Google is issuing a (behind-the-scenes) update to the Google App today that will allow for the finding and playing of podcasts without ever having to open Play Music. 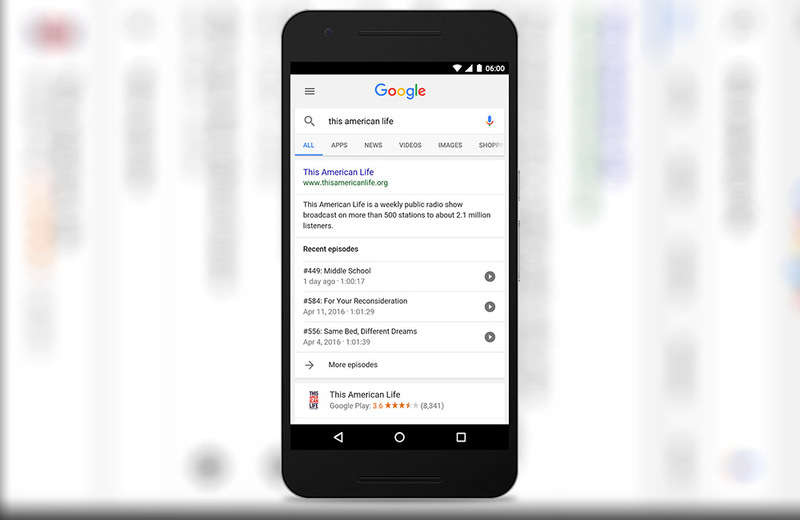 To find and play a podcast in the Google App, all you need to do is search for one, like “Droid Life Show,” and the results should return a list of our most recent episodes. You can then tap the “play” button from the search results to play specifics episodes, which will then open a set of controls at the bottom of the screen, including play/pause, rewind and fast-forward. Google says that you will also be able to browse the web on your phone or turn the screen off while you listen without killing audio. The update should begin rolling out today on Android.